Halloween is the favorite holiday of both children and adults in Northern Virginia. Children are excited to dress up as their favorite superhero or character and go trick or treating, while adults are looking forward to attending Halloween partiesâdressed up or not. If you're a homeowner in the Northern Virginia area, someone may be staying at home to give out candy to the trick-or-treaters who will be stopping by or to host a party. 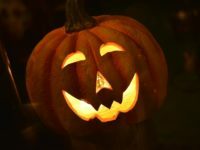 While hopefully most of your costume-clad visitors will use the walkway or driveway in your yard instead of walking across the grass, you can most likely expect some excited children to cut directly through your yard to reach your door. It can be a bit annoying to have strangers trample through your yard, especially if you take pride in your green thumb, but it can also be dangerous for your visitors. It will most likely be dark when the trick-or-treaters arrive, and one wrong step into your wet yard could make them slip and fall. A wet yard can also be unpleasant for you if you were planning on hosting any spooky campfires or outdoor parties on Halloween. Puddles of water in your yard: Having big puddles in your yard is a sure sign that the soil is not absorbing all the water it should and your landscape is not sloped enough to send water to your ditch, leaving you with a very soggy yard. Bugs and mosquitos: If you've noticed a large number of mosquitos and other pests in your yard recently, your yard is likely not draining properly. Many bugs hide away during fall, so this sign might be hard to determine during this time of year, but think back to summer. Were you swatting away more bugs than usual when you went outside? If so, your yard needs better drainage. Flooded garage or basement: Water on the bottom floor of your home is an undeniable sign that your yard is not getting rid of the water it should, particularly next to your foundation. French Drains: These gravel-filled trenches help direct water away from your yard and home. Downspout Extension: A downspout extension could be what you need to prevent rainwater from becoming a puddle in your yard. Soil Re-Grading: Changing the slope of the soil around your foundation can do wonders to keep water at bay. Contact NV Waterproofing for all these services and more! NV Waterproofing offers wet yard solutions and home waterproofing in Northern Virginia, DC, and Maryland. Our waterproofing experts have the knowledge and experience to do waterproofing right and protect your home from water damage. Our comprehensive wet yard solutions will keep both your yard and your home dry. Don't let the scariest part of Halloween be a flooded yard or home. Contact NV Waterproofing for home waterproofing in Northern Virginia, DC, and Maryland today!